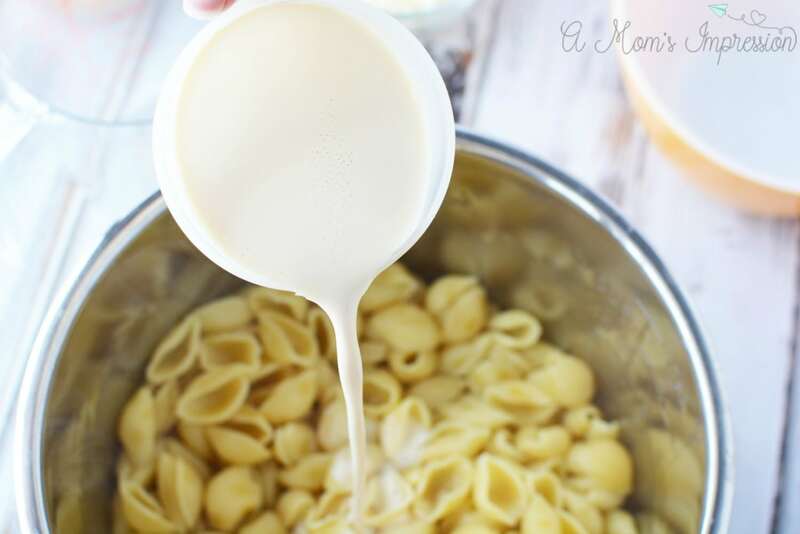 I’ve searched long and hard for the best and most creamy Instant Pot Macaroni and Cheese Recipe and here it is! This simple recipe is so easy and can be made in about 15 minutes. Your family is going to love it! LOOKING FOR MORE EASY INSTANT POT RECIPES? CHECK OUT MY INSTANT POT CHICKEN AND DUMPLINGS OR MY INSTANT POT HONEY GARLIC CHICKEN THIGHS. Sometimes you need a good comfort food recipe for dinner that you know you won’t have to fight your kids over finishing their dinner. 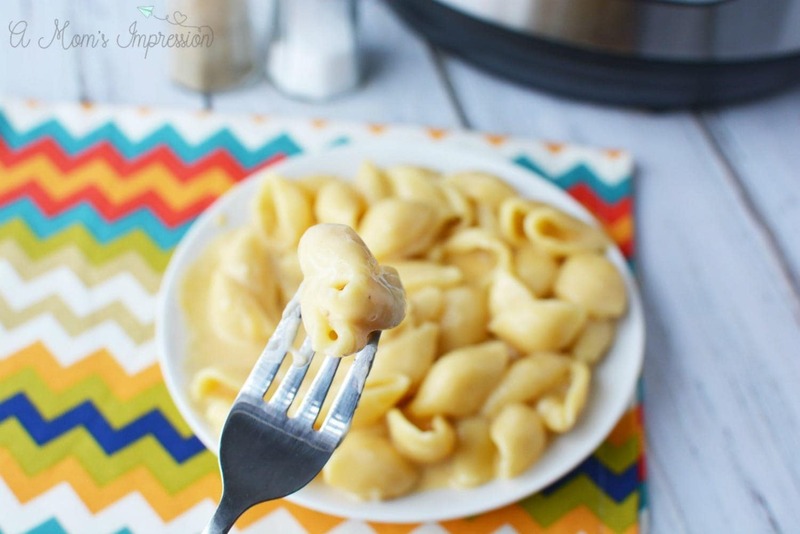 This pressure cooker mac and cheese is that recipe! 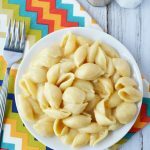 Mac and Cheese has been a part of our Kid-Friendly Instant Pot Recipes collection for a couple of years now and has been a big hit with my picky kids. I have been known to add a little protein in the form of chicken or hamburger into this recipe as well, but it can stand up on its own as well. 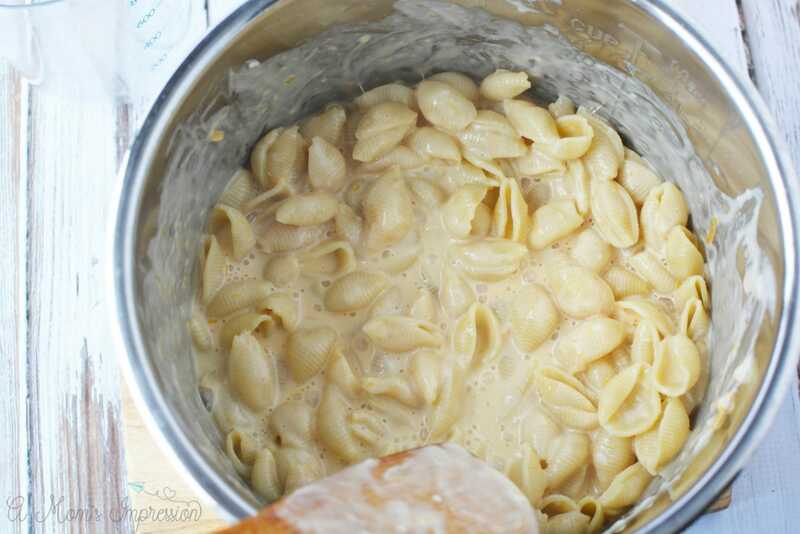 It is the most creamy homemade Macaroni and Cheese recipe I have ever made! Busy Families are the perfect match for an Instant Pot. 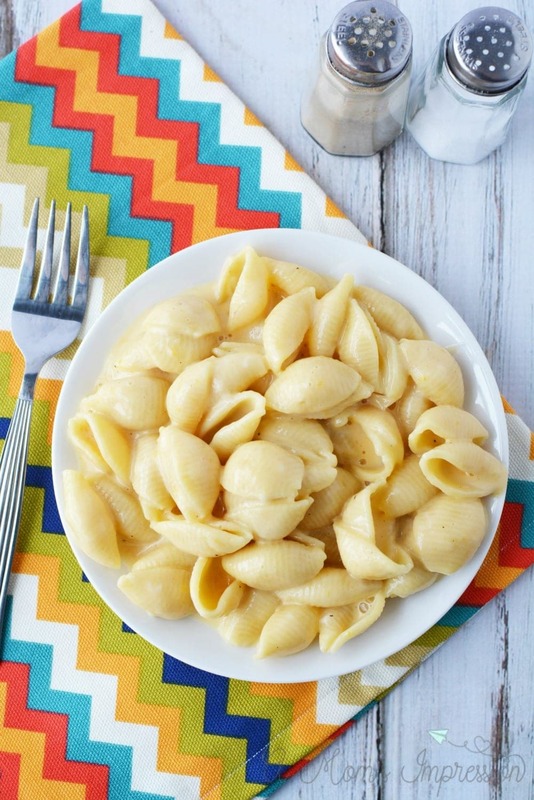 Meals can go from the fridge to your table in minutes, much like this pressure cooker Mac and Cheese recipe. From start to finish it takes about 20 minutes. That is pretty remarkable. 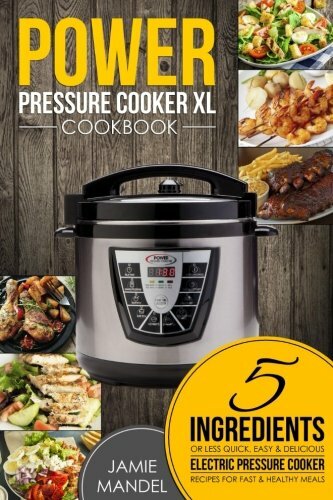 For more One-Pot meals for your pressure cooker be sure to check one of my favorite pressure cooker cookbook using just 5 ingredients or less. This is a great resource for busy parents to get dinner on the table in no time. It is easy to adapt the directions to your Instant Pot. 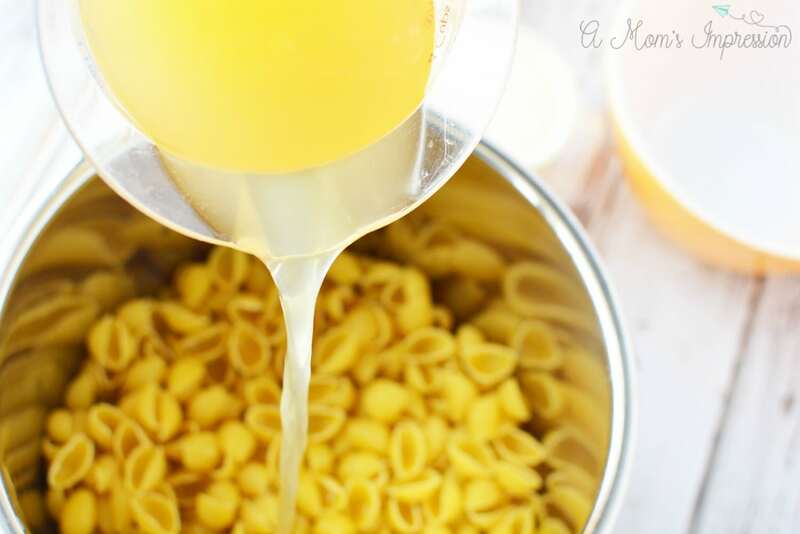 Place pasta and broth into the Instant Pot and close the lid. Seal the lid and close the pressure release valve. Set the instant pot to manual, high pressure for 5 minutes. When the cooking cycle is complete, quick release the steam and open the pot. Carefully stir in cheese and evaporated milk. Mix well until all pasta is coated. Season with salt and pepper. *Please note that if it seems a little too liquid, the sauce will thicken as it stands. 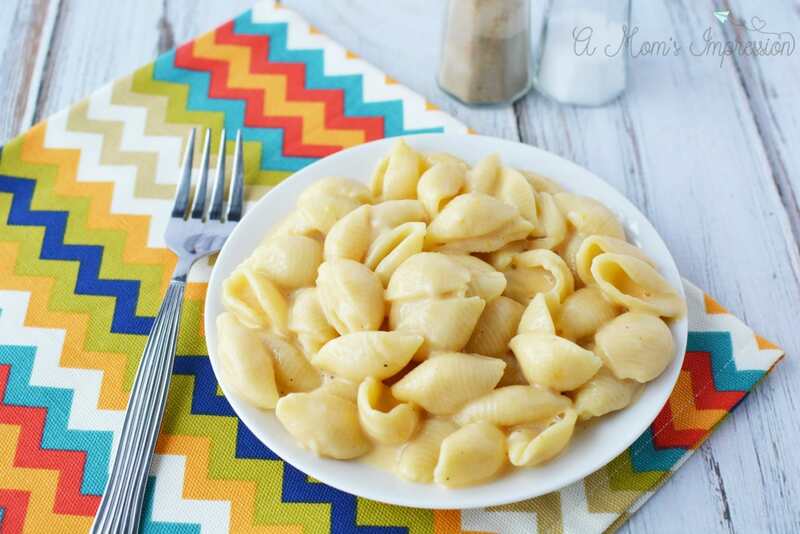 I've searched long and hard for the best and most creamy Instant Pot Macaroni and Cheese Recipe and here it is! This simple recipe is so easy and can be made in about 15 minutes. Your family is going to love it! 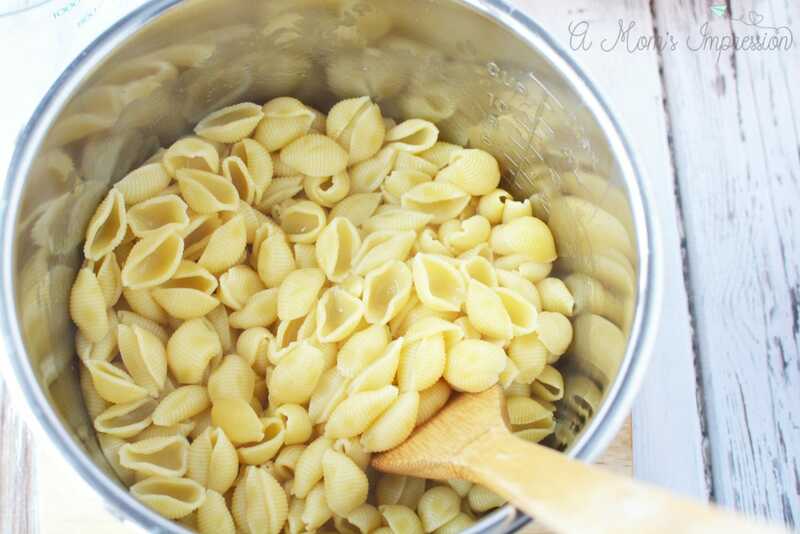 Place pasta and broth into instant pot and close the lid. Seal the lid and close the pressure release valve. Set the instant pot to manual, high pressure for 5 minutes. When the cooking cycle is complete, quick release the steam and open the pot. Carefully stir in cheese and evaporated milk. 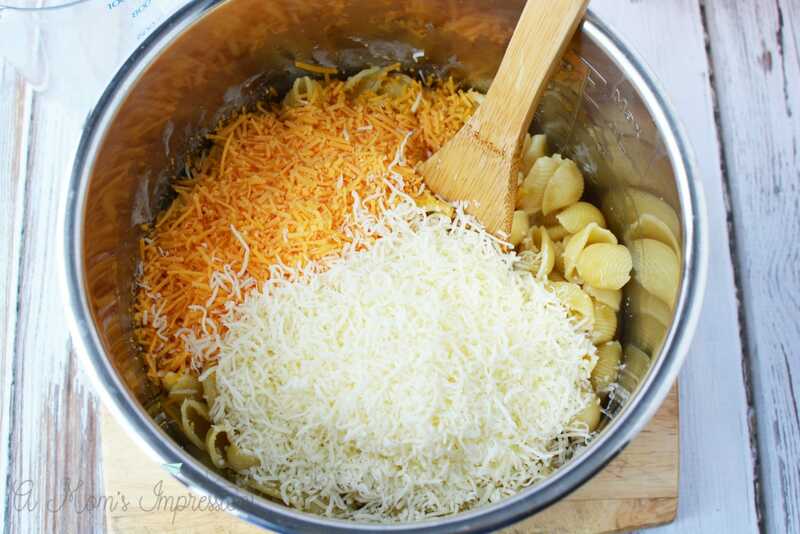 Mix well until all pasta is coated. Season with salt and pepper. Cooking time does not reflect the time it takes for your pressure cooker to come to pressure.